See the top Cultural trips that go through Indonesia. With 135 tours to choose from, they range in length from 3 days to 40. The most popular month for these tours is September, which has the most departures. "Aggy is amazing ❤️ But the company as a whole I’m unsure of!" "Splendide tour. Not being my 1st, I was happy with the level of planning and execution...."
"I really enjoyed my time in Bali. The people I met were great. The activities were..."
"it was amazing! I would do it again!" "Bali and Beyond was incredible! I'm so happy I booked this and I've met some of the..."
"I went on the 10 day Indonesia trip with James and Cody and it was amazing! 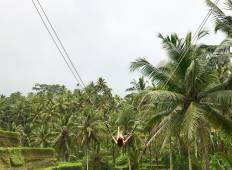 We packed..."
"Bali Experience was the best 12 Days of my life! I was really nervous about doing..."